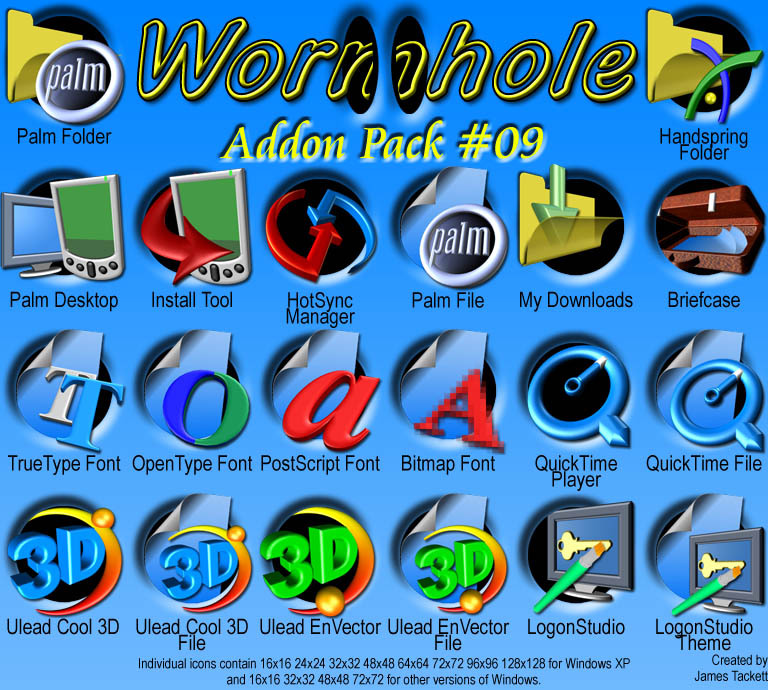 Here's another set of addon icons to go along with the main Wormhole set. BTW, how do you install these? I was a little blunt w/ my last comment... sorry! Truthfully, I love this set, and would like to see these: Microsoft Works, Picture it! Publishing, and windows media file. You are doing a great job with these! However, I am still puzzled on how to install the add-ons. Thanks RedRoy, to install the addons, you have to do them each manually by right-clicking on a shortcut, hitting properties then you can change the icon. Or for filetypes, you can open up My Computer, go up under Tools, to Folder Options, then click the File Types tab and change the icons for any file types from there. As for any more Wormhole icons, that I can't say right now as I have very little time to work on them. I wouldn't be suprised to see Microsoft copy your innovational icon style on their next OS. Thank you for providing these! I was thought these would be the last icons I would download but I saw your Symbolic Gel Blue while I was D/Ling. Now I'm torn.